Android P has introduced quite a few changes over Android Oreo that have been fun to play with these past few weeks. We detailed most of them here, but one that we haven’t talked much about yet is the new rotation suggestion button in the navigation bar. This is one of those sneaky good features that I probably won’t be able to live without going forward. Google actually laid out quite a bit of information about the new rotation behaviors in the Android P documentation (here too). They talk about these being “significant” changes to how your phone rotates and what the auto rotate lock button does. 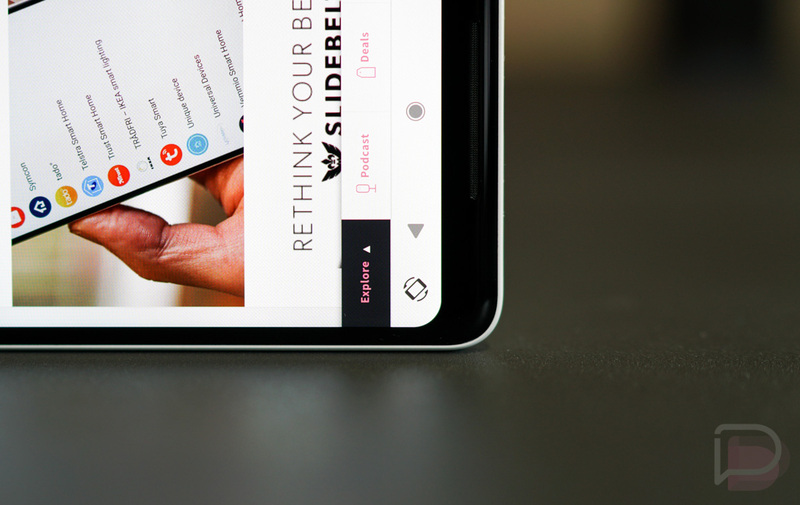 For one, portrait mode is now called rotation lock, because Android P offers up rotation suggestions via button in the navigation bar. In other words, you turn off auto rotate to enable rotation lock, but rotation suggestions will now let you flip the orientation and keep it locked there. That may sound somewhat confusing, so to explain that, look at that GIF below. See that magic? When you have auto rotate turned off, your phone’s rotation is locked, probably to portrait mode at first. However, as you rotate your phone within an app, you’ll get a rotation suggestion in the navigation bar that allows you to flip the rotation. If you tap the button, it then flips the orientation and locks it to that until you rotate back and tap that suggestion button again. It’s slick as hell! I’m the type of person that never leaves auto rotate on, because few things drive me more insane that a subtle shift sideways from upright and your phone deciding it should flip to landscape mode. Still, there are times that I do want to go landscape (like in YouTube or watching a video on Twitter or something), but the current process to get me out of rotation lock and back to rotating is by pulling down the notification area and turning auto rotate back on. That’s a pain! With this new rotation suggestion, I can always leave my phone with rotation lock on, yet still quickly flip from portrait to landscape without ever leaving the app I’m currently in or reaching for the notification shade. Ahhh Android P, you’ve got some nice tricks up your sleeves.